Ann does a fine job in the kitchen. She is wonderful with the staff and children. Always pleasant and friendly. Ann jumps in to help in any way she can. 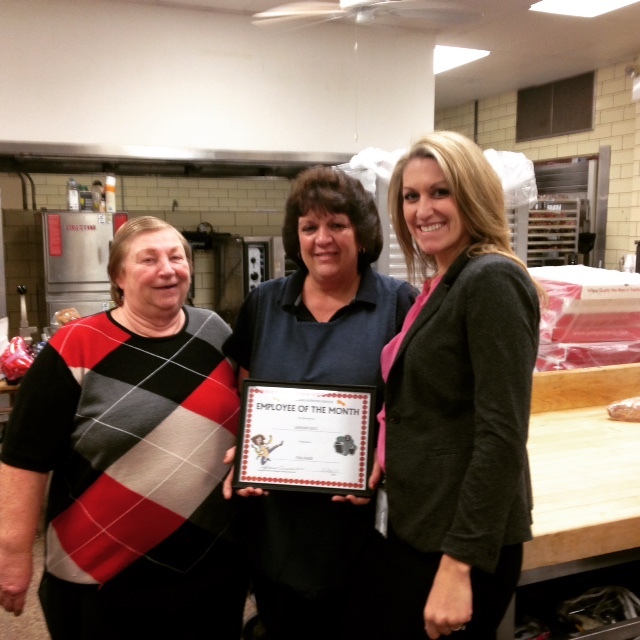 I would like to see Ann recognized for her outstanding commitment to her job in Red Clay Nutrition Services. Dianne comes to work happy and ready to work each day. She is a team player and pitches in where ever and whenever needed. She does the decorating for the serving area and is an asset to the Heritage kitchen. 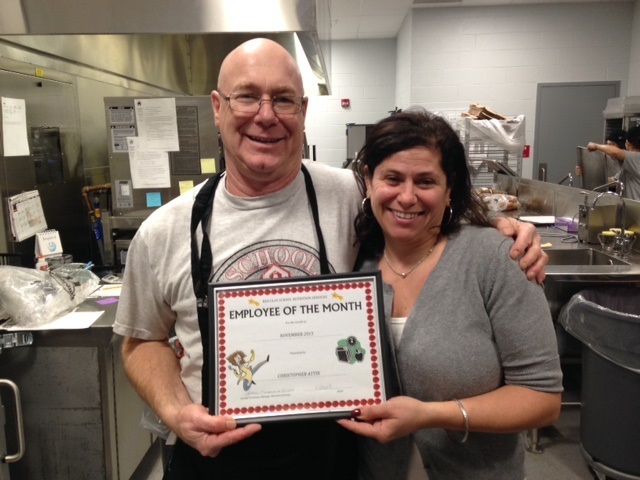 Chris directs his co-workers to have a smooth running and positive atmosphere in the kitchen. He is always ready to work and helps his fellow employees if needed. Chris understands all meal regulations and is ready to be challenged by taking on new tasks. Chris interacts with all students by name and also has great rapport with administration in the building. He takes pride in all his cooking and staff. 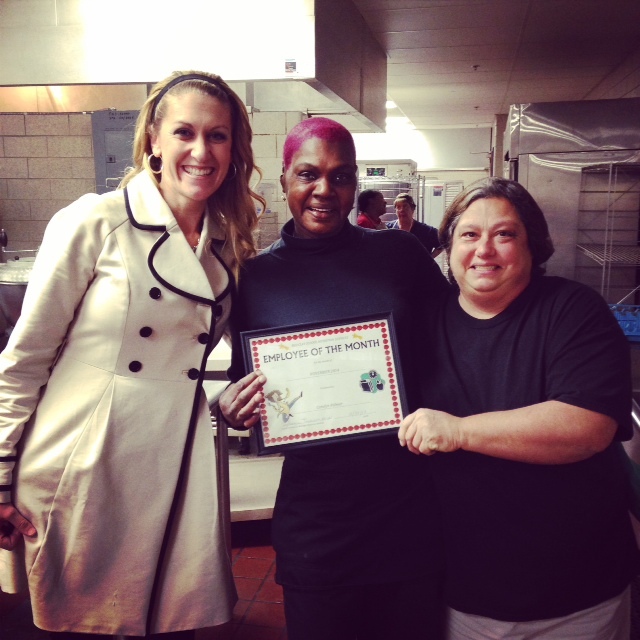 Suzanne is a tremendous asset to our kitchen and District. Suzanne follows all recipes, helps all other staff in any way needed without being asked. Especially when shorthanded, she steps up even more to make sure that all lunch lines flow easily and the students eat on time. 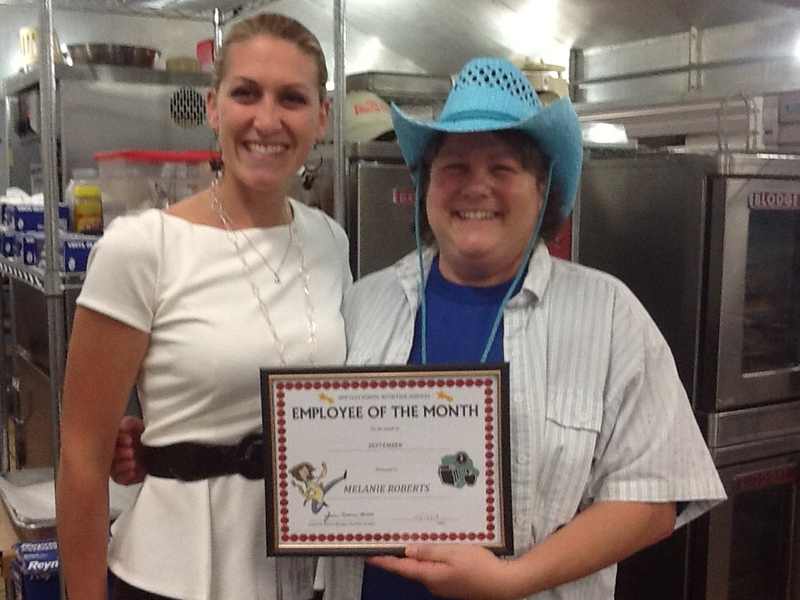 All of the staff here just love to be on the same team as Suzanne and feels she deserves to be Employee of the Month. Stacey works very hard and still makes time to promote all School Nutrition events. Her spirit and passion is very special to our program. I feel she deserves this nomination. Carolyn is a happy, friendly employee. She has excellent attendance, knows her job and does it well. She is friendly and out going with staff and students. She has a smile on her face and kindness to all she meets. She is an excellent server and does a good job with daily smart temps. Jill is an exceptional Lead and should be acknowledged for the great job she has done this year. As a Manger in this district I have been placed at several schools throughout my career and I can truly say that Jill has demonstrated to be the best of the best. Addi is one of the most even tempered, easy going, fair minded people I have ever met. She is very knowledgeable about her job. A great trainer and hard worker. 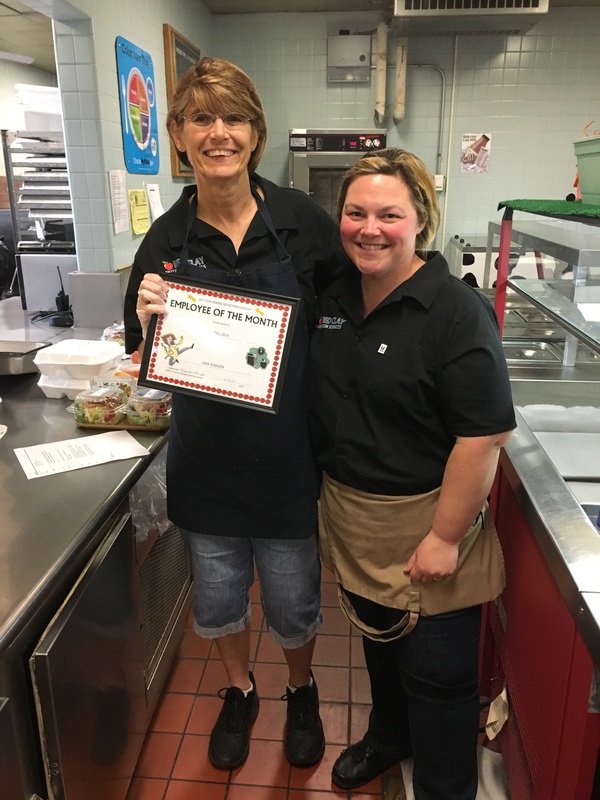 "Karen has done an excellent job assisting me [Robery, Cafeteria Manager at Conrad] in implementing the changes that I have put in place at Conrad. She has been proactive in looking ahead at things that would work well as well as things that do not work. 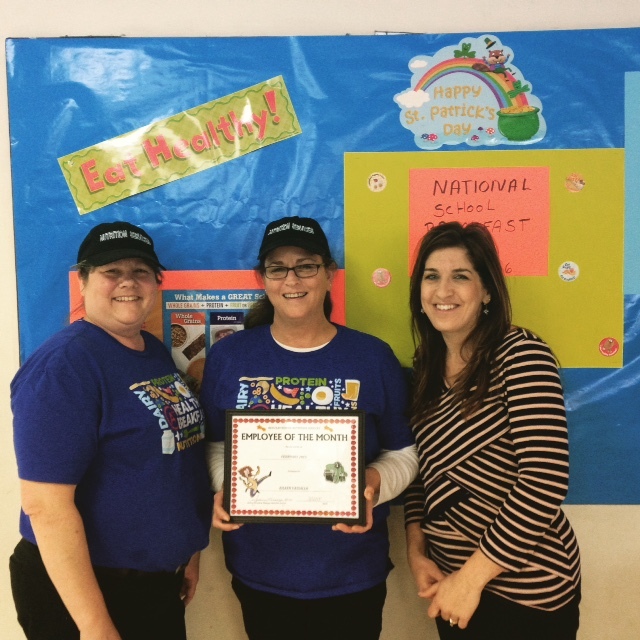 Deen went above and beyond during NSLW, working on her own time to decorate the kitchen and cafeteria. 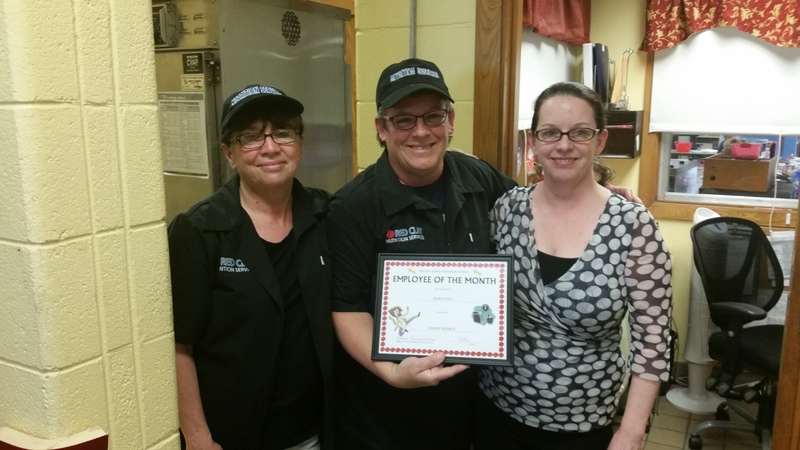 She is always willing to do whatever is necessary and consistently delivers great customer service to the students, teachers and administrative staff and is a great team player in the kitchen. Melanie is a dedicated and enthusiastic employee. She decorates the Cafeteria with beautiful seasonal items; even spackled and painted – on her Summer vacation!! She even has her own bulletin board in which she highlights school news, nutritional information or even encouraging good-bye & good luck wishes to graduating classes. She leads the team at Brandywine Springs and has an excellent rapport with the teachers and administrators. But the #1 reason she should be employee of the month is that she is HUMBLE and glad to do all of these things to service our students in Red Clay!